Orthopaedic Specialists of Metropolitan Washington (Silver Spring) - Book Appointment Online! For more than 40 years, Orthopaedic Specialists of Metropolitan Washington has been providing leading edge, full service orthopaedic care to the citizens of Montgomery County, Maryland, and the surrounding metropolitan area. Our board certififed and fellowship trained orthopaedic surgeons have the expertise to treat hip and knee, spine, neck, hand and wrist, foot and ankle, as well as shoulder and elbow conditions and injuries. The orthopaedic surgeons at our practice are specially trained in joint replacement, arthroscopic surgery, fractures, trauma and sports medicine. We pride ourselves on the ability to provide fully integrated state-of-the-art care for our patients' diagnosis, treatment and rehabilitation. We also offer on-site radiology. 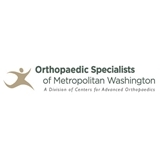 Orthopaedic Specialists of Metropolitan Washington is committed to providing compassionate, safe high-quality health care to our patients. Although he seemed a little rushed and didn't ask alot about my medical history, he seemed very knowledgeable and respectful. Office staff was very friendly and the appointment was prompt and I was in and out in about 30 minutes. Dr. Alam was very personable, professional, and attentive to the concerns I shared with him. He was thorough in his response and I appreciated his sound medical recommendations.